The TCM Classic Film Festival got underway last Wednesday, April 24th, with TCM personalities available for a day of media appearances and interviews at the festival headquarters, the Hollywood Roosevelt Hotel. I shared some details about the day in my festival preview, but now that the festival is over I have time to share some additional information. 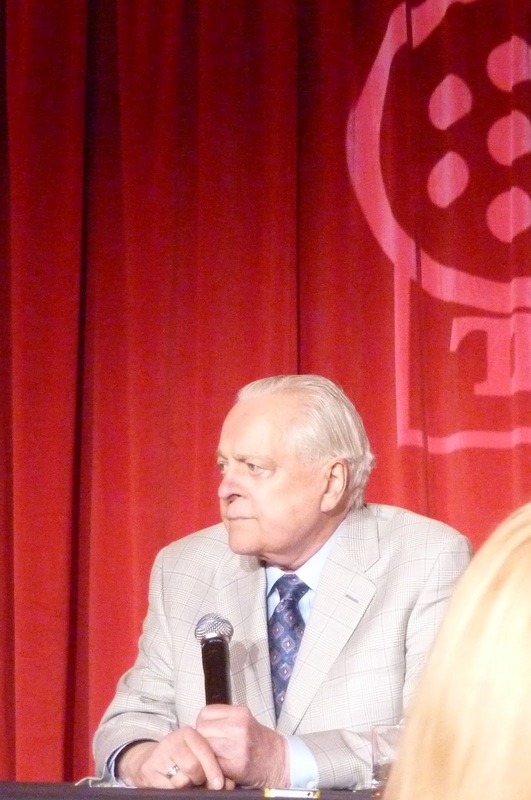 TCM's Robert Osborne, Ben Mankiewicz, Charlie Tabesh, and Genevieve McGillicuddy attended a press conference where most, if not all, of those present were classic film bloggers. (That in itself is an interesting commentary on how media is changing and becoming more specialized.) Robert Osborne shared that one of the most interesting things about how the festival has developed is that passes now sell out prior to festival programming being announced, which gives programmer Charlie Tabesh and his colleagues more latitude in the titles they can choose; they are able to look beyond big name crowd pleasers at lesser-known titles. Mr. Osborne also shared that one of the greatest pleasures of the festival is meeting other like-minded people, and I can certainly attest that that's the case! He also commented on how interesting it is that so many younger viewers watch TCM and attend the festival. He said that he is proud of the print quality on TCM and how TCM continually works to obtain better prints, and he's enthused about increasing opportunities to show films from Universal and 20th Century-Fox. Among the films being shown at the festival, he was particularly excited about THE RAZOR'S EDGE (1946), CLUNY BROWN (1946), and THE DESERT SONG (1943), as well as the Ann Blyth tribute. Ben Mankiewicz commented on the rise of social media as a way for fans to connect with TCM, and particularly noted the very popular TCM Party, where fans on Twitter discuss films showing on TCM in real time as they watch. He said that online, via opportunities such as TCM Party, fans get a little of the shared experience which the festival provides; he mentioned that friendships are formed online as people connect thanks to love for TCM and that many people who have met online then meet in person at the festival. Again, that was something I experienced myself over the past few days! Mr. Mankiewicz also commented on TCM's ability to touch people "in a special, particular way" and noted that he watches ESPN but doesn't care about it the way fans do about TCM. He said that there is a "significant connection" between TCM and its viewers and that TCM feels "a welcome sense of obligation" towards its audience. TCM programmers Charlie Tabesh (seen below) and Genevieve McGillicuddy spent some time discussing the digital revolution. They mentioned liking 35mm, which is how the films were originally shown, but said that if they have a choice between a poor 35mm print and a digital restoration, they'll go with the digital print. 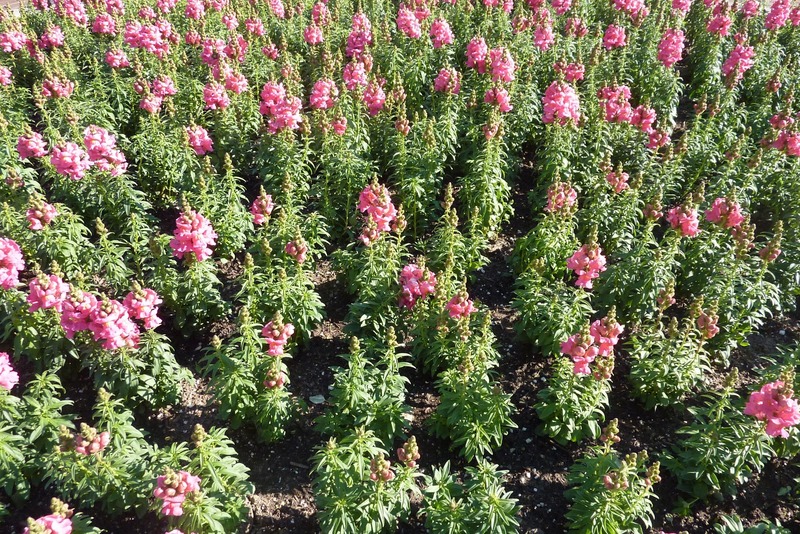 Another interesting fact is that TCM is not allowed to collect ratings; it was stated that being commercial-free is the "core" of the TCM brand and that will not ever change. 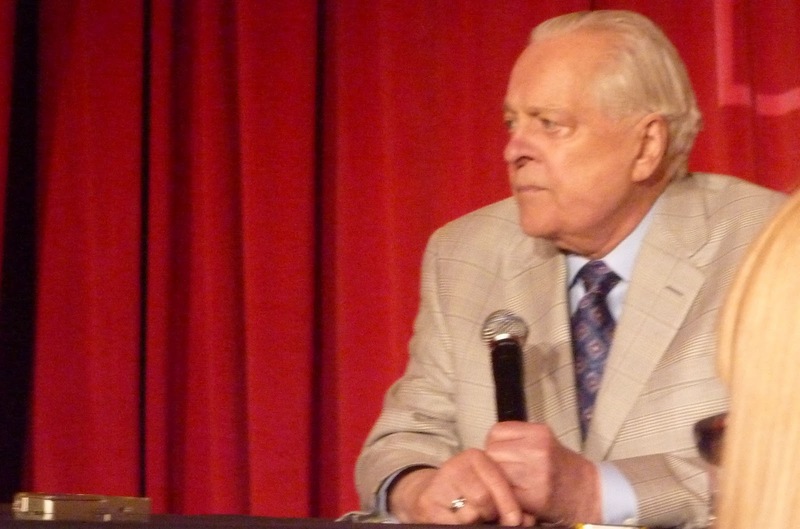 The interviews I mentioned seeing recorded last week are now available in a video gallery at the TCM Festival website, including Ben's interviews with Theodore Bikel, Michael Badalucco, and Marvin Kaplan, plus Robert Osborne's talk with Jane Withers, who is 87 and was just terrific, an absolutely delightful lady. The crowd gathered in the lobby for the Kaplan interview can be glimpsed below. For additional thoughts from Robert Osborne, be sure to check out a one-on-one interview conducted by Danny Miller for MSN. As it happens, Mr. Osborne shared that someone he had really wanted to meet was Deanna Durbin, whose passing was announced today. Coming soon: An overview of Day 1 and a review of the first film I saw at the festival, Stanley Kubrick's film noir THE KILLING (1956), with much more to come over the next few days! I'm deeply saddened to learn this evening of the passing of the great Deanna Durbin, one of my all-time favorite movie stars. 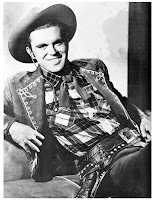 My 2010 birthday tribute to Deanna Durbin includes links to film reviews of 18 of her 21 feature films; each review contains information on DVD and VHS availability. My thoughts on Deanna's very original screen persona, as shared in that tribute: "Over the years there were several other wonderful sopranos who starred in movie musicals, but there was something completely unique about Deanna Durbin's screen presence. Her more mature characters radiate an unusual kind of calm, forthright honesty and serenity, and at the same time she was a wonderful comedienne. Deanna also had a knack for taking characters who might otherwise be perceived as willful or bratty and making the audience love them, simply on the strength of being...Deanna." Deanna Durbin was truly one of the great ladies of the silver screen, and while I am terribly sad to learn of her passing, I am also incredibly grateful for the legacy she leaves behind. Deanna's films will be loved and enjoyed for as long as movies exist. The 2013 TCM Classic Film Festival came to an end last evening; the past few days are now just memories -- but what memories!! As Leonard Maltin wrote this evening, the TCM Classic Film Festival was "movie-buff heaven." I knew the festival would be wonderful, but the experience far exceeded my expectations. As I posted last Wednesday, the festival was an early morning-till-midnight experience. In the coming days I plan to recap the festival in a series of posts providing an overview of each day's experiences, as well as reviewing several of the films I saw in more detail. As my posts go up I plan to also add the links to the bottom of this introductory post, so they can all easily be found in one place. The festival was remarkable on several levels. First, there were so many options that I could attend the identical festival a couple more times and choose totally different films and events in the future, yet still come away completely happy. The festival schedule was comprised of a rich, diverse list of titles along with many special appearances and introductions. It was a marvelous opportunity to see a significant number of classic era actors who are still with us and happy to share their memories, along with a chance to listen to great film historians. 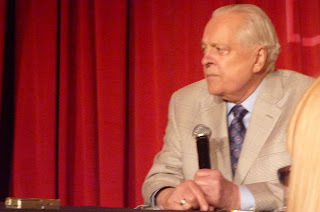 One could turn a corner in the Hollywood Roosevelt Hotel or a theater and bump into Robert Osborne, Ben Mankiewicz, Leonard Maltin, Kevin Brownlow, Eddie Muller -- or Norman Lloyd, a surprise guest at the trivia competition. Seeing so many films with an audience that "gets it" was a real treat. Where else could you enjoy a film with an audience which applauds Ward Bond when he comes on screen as the bus driver in IT HAPPENED ONE NIGHT (1934), or which applauds the entrance of John Williams in DIAL M FOR MURDER (1954) with such warm and delighted enthusiasm? Last year, when I saw a film at the festival with a standby ticket, I was able to meet a number of classic film bloggers who visited the festival from out of state, but this year it reached critical mass, as many of those folks who couldn't be here last year were determined to make it this year. For those of us in the classic film blogging and Twitter community, it was as though there was a joyous party in the midst of the festival, as each of us connected with friends we have known online for years. Getting to know fellow film fans "in person" and enjoy so many wonderful experiences together was very special indeed. Between Thursday night and Sunday evening I saw a total of 11 films, plus 90 minutes of Technicolor home movies and several other events. Staying in Hollywood during the festival is a future goal; my late-night drives home to Orange County meant I wouldn't get enough sleep if I tried to get up and make it back through traffic to L.A. in time to get in line at 8:00 for a 9:00 a.m. show! 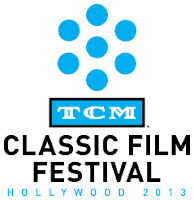 For more on the festival, be sure to visit the TCM Festival website, which has a blog, photos, and videos. Some bloggers already have posts up; I don't know how she did it, but Jessica of Comet Over Hollywood managed to post from her phone! Raquel has several posts up at Out of the Past, and so does Lara at Backlots. If any other bloggers have written festival posts, please feel free to share links in the comments. I'm very much looking forward to sharing my TCM Classic Film Festival experiences in the days to come, and I particularly hope that my posts will help persuade classic film fans who haven't yet been to the TCM Festival to attend next year. Living in Southern California, I've been blessed to enjoy a number of special classic film events over the years, but I can easily say that the TCM Classic Film Festival was one of the very happiest movie experiences of my life, and I'd love for others to enjoy it too! Previously: TCM Classic Film Festival Preview (April 24, 2013); The TCM Classic Film Festival 2013 Schedule (April 10, 2013); Film Festival Coverage This Month at Laura's Miscellaneous Musings (April 2, 2013). TCM Festival Posts: The TCM Classic Film Festival: Media Day; The TCM Classic Film Festival: Day One; Tonight's Movie: The Killing (1956) at the TCM Classic Film Festival; The TCM Classic Film Festival: Day Two; Tonight's Movie: Notorious (1946) at the TCM Classic Film Festival; The TCM Classic Film Festival: Day Three; Tonight's Movie: They Live By Night (1948) at the TCM Classic Film Festival; The TCM Classic Film Festival: Day Four; Tonight's Movie: Kismet (1955) at the TCM Classic Film Festival; Tonight's Movie: It Happened One Night (1934) at the TCM Classic Film Festival. The 2013 TCM Classic Film Festival isn't officially underway until Thursday, April 25th, but there was still lots of festival excitement today on Hollywood Boulevard. It was a very busy day starting with attending a press conference with TCM's Robert Osborne, Ben Mankiewicz, Charlie Tabesh, and Genevieve McGillicuddy. I took quite a few notes and plan to share some of their comments here next week. Afterwards it was great fun to watch a few interviews being taped which will appear as introductions prior to the movies airing on TCM this weekend. It was a particular thrill to see Jane Withers and Theodore Bikel interviewed by Robert Osborne and Ban Mankiewicz, respectively. I believe some of the interviews I saw taped today will air Thursday before THOSE MAGNIFICENT MEN IN THEIR FLYING MACHINES (1965) and BITE THE BULLET (1975), and then on Saturday night prior to GIANT (1956). It was a particular delight today to meet several fellow classic film bloggers for the first time, as well as to renew acquaintances with others. I enjoyed a lovely lunch with Raquel of Out of the Past and Jill of Sittin' on a Backyard Fence and look forward to spending time with more of our mutual friends over the next few days. Be sure to check out Raquel's photo report on today's events! The next few days are packed from early in the day till midnight, so most if not all of my coverage during the festival itself will be via updates and photos on Twitter in between screenings. 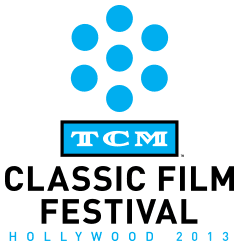 (TCMFilmFest will also have all the latest updates!) Then I plan to share impressions of the events and films in detail next week, once the festival has concluded and I have time to reflect and write. I hope you'll enjoy experiencing a bit of the TCM Classic Film Festival via my blog, and if you're not here this year, perhaps next year will be the year! RIDER FROM TUCSON is an enjoyable Tim Holt Western filmed largely in the Alabama Hills outside Lone Pine, California. Tim plays Dave Saunders, the same name he went by in his previous film, STORM OVER WYOMING (1950). Dave and his buddy Chito (the irrepressible Richard Martin, below right) are riding in the Tucson Rodeo when they receive word an old friend is getting married in Colorado and wants them to be his best men. When Dave and Chito arrive for the wedding, their friend Tug (William Phipps) is being stalked by several people who want to find and steal his gold mine claim, and Tug's bride-to-be Jane (Elaine Riley) is soon kidnapped to increase the pressure on Tug. Needless to say, Dave and Chito immediately set out to help Tug and Jane, taking on all the villains including the greedy, murderous Gypsy (Veda Ann Borg). The script for this one, by Ed Earl Repp, is on the creaky side -- but the movie is 60 fast-paced minutes with Holt, Martin, and Nicholas Musuraca's gorgeous photography of the Alabama Hills, and sometimes that's plenty! I enjoyed it. 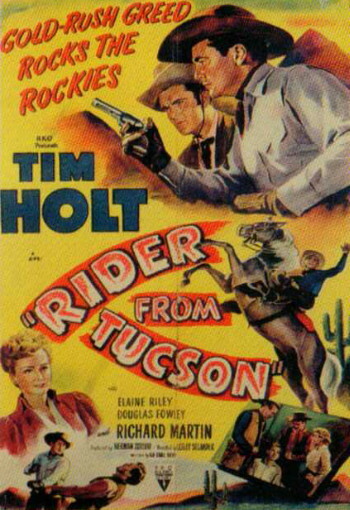 The movie exists in the same "B" Western never-never land inhabited by Roy Rogers, where you're never quite sure what era it is; the opening rodeo scene appears to be set in modern-day Tucson, with some nice footage of the Tucson Rodeo. (It reminded me a lot of the rodeo held in Bridgeport in the High Sierras.) But as soon as Dave and Chito arrive in Colorado, it's apparent we're in the 1800s after all! Though the movie was set in Colorado, most of it was filmed in California's Alabama Hills, an area used in countless Westerns; it's even posed as more exotic locations, such as standing in for India in GUNGA DIN (1939). A couple of my own photos of the area where the movie was made can be found here and here. RIDER FROM TUCSON was directed by Lesley Selander. 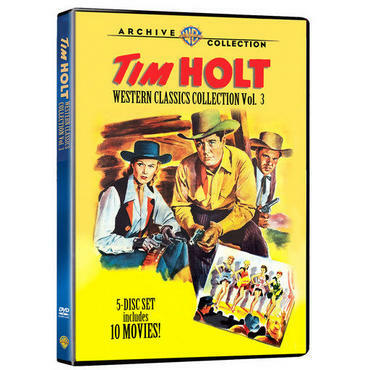 This movie is available from the Warner Archive in the 10-film Tim Holt Western Classics Collection, Vol. 3. THE CROOKED WEB is a rather silly minor film noir, though it does have a bit of nifty location photography and a couple surprising plot twists in its favor. Stan (Frank Lovejoy) is a low-key nice guy who runs a drive-in coffee shop and is in love with Joanie (Mari Blanchard), one of his carhops. 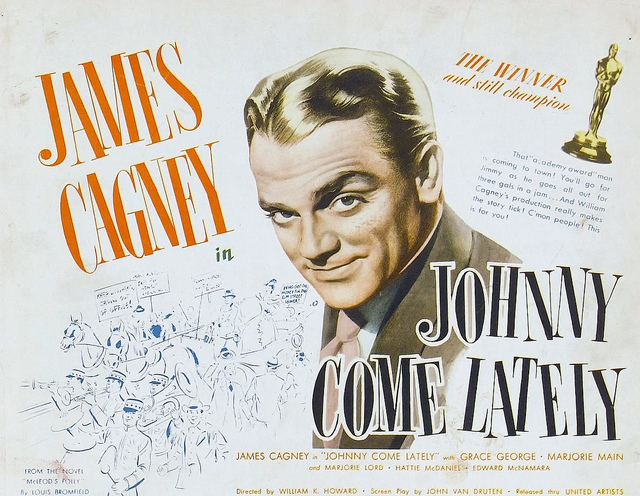 Joanie's brother Frank (Richard Denning) shows up in town with a get-rich-quick scheme involving gold stolen and hidden away during WWII. Stan, who wants to persuade Joanie to marry him, is eager to buy in to the deal and make some fast money. Nothing, however, is quite what it seems. There are a couple big plot twists in the first half hour or so of the movie which make it interesting, although the characters' reactions to certain things are confusingly inexplicable until their true histories and motivations are revealed. After that the movie bogs down in its elaborate plot and the fact that none of the characters are very appealing, nor are they very smart. A couple characters repeatedly risk disclosing their true identities, and their self-centered stupidity lessens their appeal. All in all, this is a fairly long 77 minutes despite featuring Frank Lovejoy, a favorite of mine. One of the things that does make the movie worth seeing is Stan's fabulous drive-in. A review provided the info that the drive-in seen in the movie was actually called Stan's and was located in Hollywood. Here's a great photo. 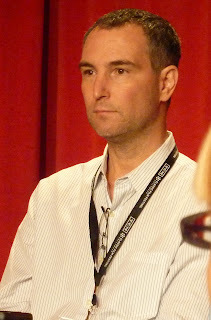 The director of the film was Nathan Juran, whose films previously reviewed here include GUNSMOKE (1953), LAW AND ORDER (1953), and HIGHWAY DRAGNET (1954). This was the last feature film written by Lou Breslow, who was best known as a comedy writer. THE CROOKED WEB is available on DVD in the Sony Choice MOD line as a single title or as part of the five-film Film Noir Collection, Volume 1. Among the other films in the set is THE CASE AGAINST BROOKLYN (1958), reviewed here last May. THE CROOKED WEB can also be rented from ClassicFlix. Miscellaneous bits of news and fun stuff from around the Internet...the "Weekend before the TCM Classic Film Festival" Edition! ...TCM has announced the lineup for this summer's Essentials Jr. series, again hosted by Bill Hader. The season leads off on June 2nd with THE COURT JESTER (1956). Will of Cinematically Insane shares more thoughts on the upcoming season. ...The L.A. Times has published an article on the popularity of the TCM Classic Film Festival, which opens next Thursday. ...Congrats to Kim of GlamAmor who will be hosting two films at the TCM Festival. Kim, an expert on movie fashions, will be introducing A FOREIGN AFFAIR (1948) and FLYING DOWN TO RIO (1933). I've had the pleasure of meeting Kim at a few screenings and am delighted so many other classic film fans will have the chance to get to know her via her introductions. ...Jessica's heading to Hollywood this week, and so are Aurora and Lara. Links to a few more festival-goers' posts can be found here. ...The Chinese Theatre is going to become an IMAX theater? 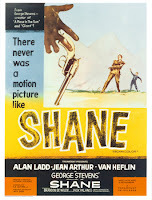 ...In my last roundup I shared links regarding a controversy over the correct aspect ratio for SHANE (1953). 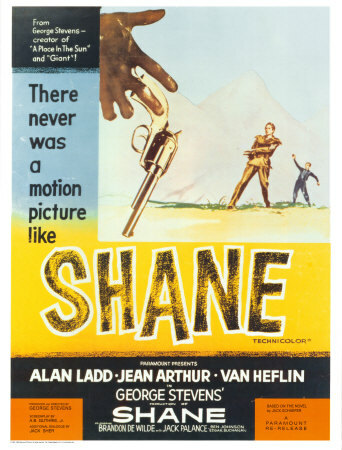 It was announced last week that the Blu-ray edition of SHANE will go out in the correct 1:37 ratio, as was intended when the movie was filmed, and the TCM Classic Film Festival is also switching their planned screening from a 1:66 print to 1:37. The release date of the Blu-ray may be pushed back. ...Cliff's interesting articles at Immortal Ephemera of late include a profile of Elizabeth Allan, who starred in DAVID COPPERFIELD (1935) and A TALE OF TWO CITIES (1935), and a comparison of PUBLIC ENEMY'S WIFE (1936) and its remake BULLETS FOR O'HARA (1941). I briefly reviewed PUBLIC ENEMY'S WIFE back in 2007. Now I need to watch the remake, which I recently recorded. ...Vienna pays tribute to Barbara Hale, who turned 91 last week. ...Vienna shares my love for "B" movies -- I've got to see MEXICAN MANHUNT (1953) with George Brent! ...I'm a bit behind on keeping up with blogathon news, having spent so much time driving back and forth to film festivals in Los Angeles the last few weeks! Traveling to see movies means I haven't been reading about them quite as much as usual. Jessica of Comet Over Hollywood is hosting a blogathon on child actors next May 24th-26th. Details are here...And May 3rd through 10th there's a Mary Astor Blogathon, being hosted by Silver Screenings and Tales of the Easily Distracted. If you're hosting an upcoming classic film blogathon I've not previously mentioned, feel free to leave a comment and I'll include it in a future roundup! 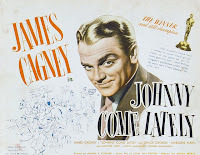 ...I also missed out on a recent James Cagney blogathon, but have been slowly catching up with many great posts, such as Caftan Woman's take on JOHNNY COME LATELY (1943), which I saw at UCLA in March. 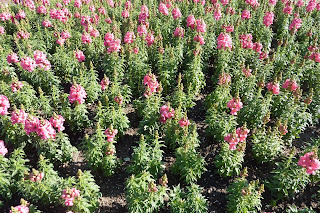 There were lots of interesting posts in the blogathon, and I encourage my readers to visit the links at the blogathon's host site, The Movie Projector. ...Speaking of Mary Astor, here's Greenbriar Picture Shows on RED DUST (1932). Fantastic photos, as always! ...There are also great photos in Jeff's post on THE WILD NORTH (1952) at THE STALKING MOON. I remember this film with Stewart Granger and Cyd Charisse fondly and need to revisit it! It's available from the Warner Archive. ...Robby shares photos of two locations from BELLES ON THEIR TOES (1952) at Dear Old Hollywood. BELLES ON THEIR TOES starred Myrna Loy, Jeanne Crain, and Debra Paget, among others. ...RIDE CLEAR OF DIABLO (1954) has been one of my favorite films seen this year, in a year of great films. It prompted me to seek out even more movies starring Audie Murphy and Dan Duryea. Colin writes about RIDE CLEAR OF DIABLO at Riding the High Country, and there's also an interesting discussion which follows in the comments. 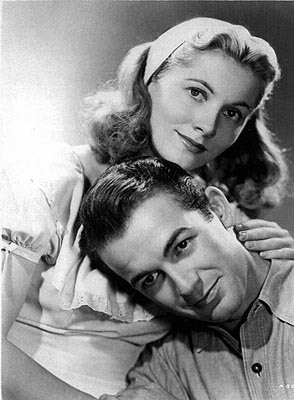 ...Last year I reviewed an excellent film, FROM THIS DAY FORWARD (1946), starring Joan Fontaine and Mark Stevens, supported by Rosemary DeCamp and Harry Morgan. It recently resurfaced online -- do yourself a favor and watch it while you still can. Fontaine in particular is outstanding. Hoping for a DVD release of this RKO film! ...Here's a great photo Tweeted from today's London Marathon. 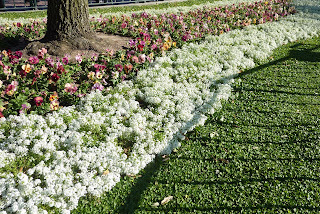 ...Sincere thanks to Aubyn of The Girl with the White Parasol for the Liebster Award, and be sure to check out Aubyn's blog. I especially enjoyed her recent review of DODGE CITY (1939). ...Notable Passing: Author E.L. Konigsburg, author of many children's books including the Newbery-winning FROM THE MIXED-UP FILES OF MRS. 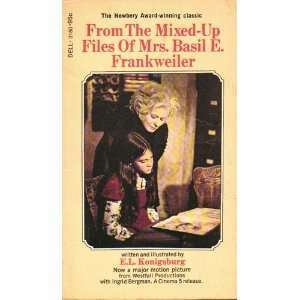 BASIL E. FRANKWEILER, has passed away at the age of 83. Konigsburg won another Newbery for THE VIEW FROM SATURDAY. FROM THE MIXED-UP FILES... was filmed in 1973 with Ingrid Bergman in the title role. As a child I received a Dell paperback of the book with a scene from the movie on the cover, seen here, and all four of my own children have gone on to read that same copy of the book. ...More notable passings: Spanish actress Sarita Montiel, also known as Sara Montiel, recently passed away at the age of 85. She starred in VERA CRUZ (1954) and SERENADE (1956) and was married for a few years to SERENADE director Anthony Mann...and Richard LeParmentier has passed away at age 66. LeParmentier had a small but memorable role in the original STAR WARS (1977) as an admiral who makes the mistake of doubting the power of Darth Vader and the Force. ...This year's festival tally to date: I saw "only" 10 films this year at the Noir City Film Festival, down from 19 in 2012 and 14 in 2011. Half the films were new to me, and half were repeat viewings; links to my reviews of all 10 Noir City films are at the bottom of my introductory post to the festival. I also saw 7 films last month at the UCLA Festival of Preservation -- review links rounded up here -- up from just 2 at the last festival in 2011, which adds up to a whole lotta films on the big screen in the last 7 weeks. And in a few days I expect to see many more films at the TCM Classic Film Festival than the single title I saw last year! ...Please note that next weekend there will not be an Around the Blogosphere This Week column due to my attendance at the TCM Classic Film Festival April 25th through 28th. It was a long week in some ways, and it was wonderful to slip away to Disneyland for a few hours tonight. "The Happiest Place on Earth" always serves as a reminder of what's right with the world! Disneyland recently honored economist Buzz Price, a Disney Legend who helped Walt Disney select the locations of both Disneyland and Walt Disney World, with a Main Street Tribute Window. The window can be found at City Hall. 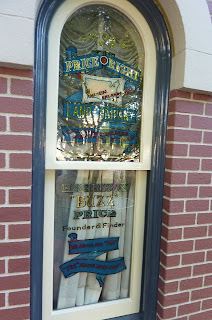 It was difficult to get a good shot of the window without glare, but it can be seen in this Disney video. 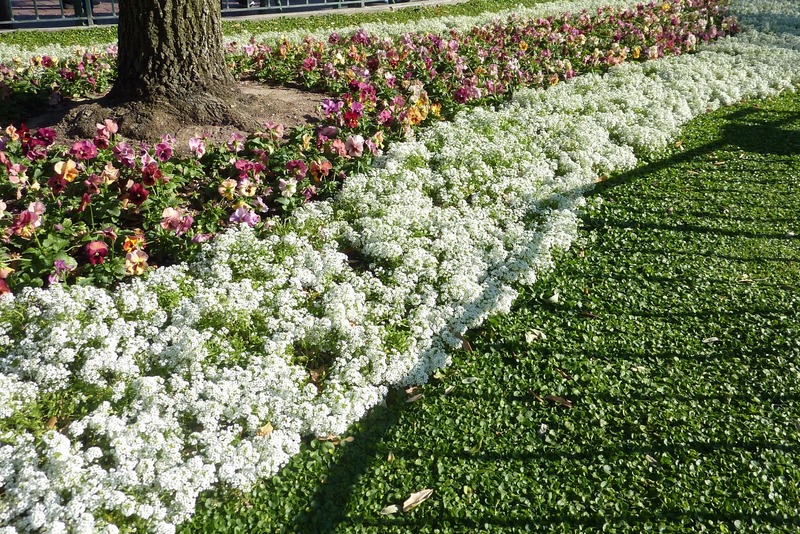 More spring photos taken at Disneyland were posted here last week. Tonight's double bill at the Noir City Film Festival honored director Robert Siodmak. First up was CRY OF THE CITY (1948), starring Victor Mature and Richard Conte. I reviewed it last year and enjoyed it even more in a gorgeous 35mm print. An excellent film with two of the great noir actors in the leading roles. 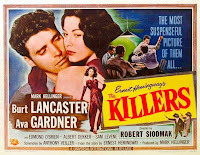 The second half of the evening's fare was THE KILLERS (1946). It was my first time to see this classic, which has an amazing cast and is filled with iconic noir images. 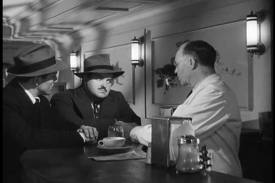 I had a tremendous time watching it, starting with the opening moments when hit men William Conrad and Charles McGraw stroll into a small-town diner. The story quickly continues with a man named Swede (Burt Lancaster) done in by the hitmen. From there, his story is told in a cascade of fast-paced flashbacks as an insurance investigator, Jim Riordan (Edmond O'Brien), pieces together Swede's life as he interviews various people. Jim meets Police Lt. Sam Lubisnky (Sam Levene), who grew up with Swede; Sam's wife Lily (Virginia Christine), who once loved Swede; Big Jim Kolfax (Albert Dekker), who masterminded a robbery in which Swede participated; and Kolfax's girl -- and Swede's obsession -- the gorgeous Kitty Collins (Ava Gardner). This film is so well known that I feel it's a title where I may not have a great deal new to contribute, but a couple personal impressions. 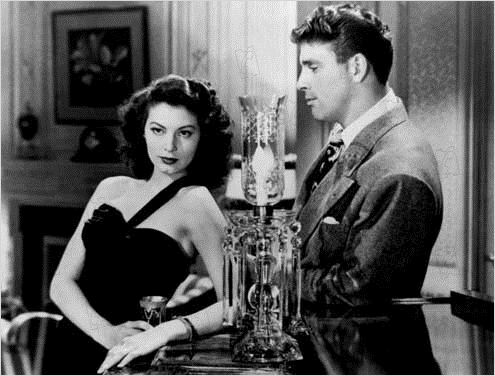 First, it's rather curious that Burt Lancaster has been in a number of excellent films I've enjoyed -- including another classic noir, CRISS CROSS (1949) -- yet I've always felt I can take him or leave him as an actor. Maybe it's the fact that he so often excelled at playing weak, dumb clucks or egomaniacs, but I find that I tend to be more interested in the characters surrounding him, and so it was with this film -- which worked out well, given that he dies at the outset! This was Lancaster's first film, and he immediately became a star. The joy for me was in the film's great look, the interesting story, and the other performers, starting with favorites Edmond O'Brien and Sam Levene; Levene was also seen by me Sunday in GUILTY BYSTANDER (1950). O'Brien could play a tortured noir hero with the best of them, but here he's the light note in a dark film, a charmer as the enthusiastic insurance detective. Levene always manages to imbue his characters with a warm humanity in limited screen time, and he and Virginia Christine are appealingly teamed. As for Ava Gardner, what can be said? She's amazingly beautiful, photographed in stunning black and white by Woody Bredell. Along with Yvonne DeCarlo of CRISS CROSS, she is certainly one of the ultimate noir femme fatales. And William Conrad and Charles McGraw? In their coats and fedoras, they are film noir. 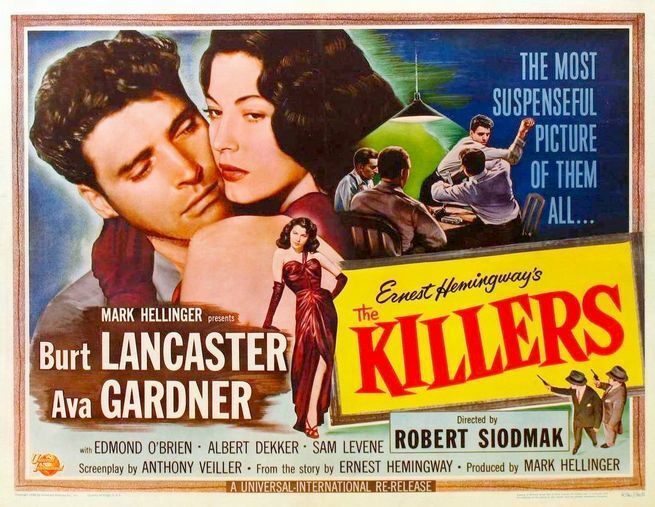 If one were to make an "intro to film noir" list, THE KILLERS would surely have to be in the top half dozen or so titles to illustrate the genre. I almost regret it has taken me so long to catch up with this great movie -- yet I can't be sorry that I waited to see it in a perfectly projected, shimmering 35mm print. It was an experience I will treasure, especially as watching "real film" will perhaps inevitably become a more rare experience in the future, even on the classic film circuit. The movie runs 103 minutes. The screenplay by Anthony Veiller was based on Ernest Hemingway's story; the movie's clever flashback structure was also developed by an uncredited John Huston. 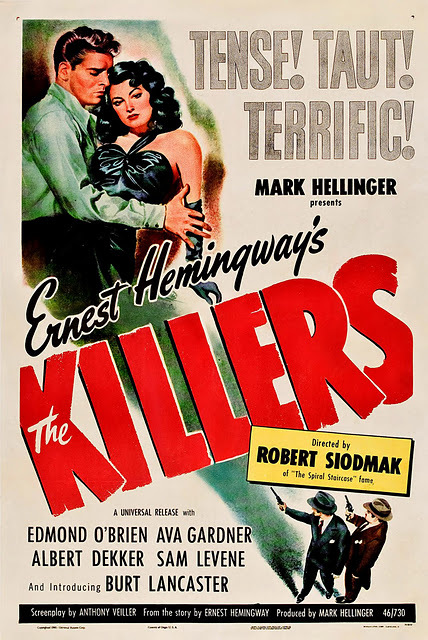 THE KILLERS was nominated for four Academy Awards, including a nomination for director Siodmak; it didn't take any Oscars home, as the awards were swept that year by THE BEST YEARS OF OUR LIVES (1946). Incidentally, the great Oscar-nominated score by Miklos Rozsa is apparently where TV's DRAGNET theme originated. I did a mental double-take when I first heard the classic notes playing on the movie soundtrack. THE KILLERS is out on DVD from Criterion. The DVD can be rented from Netflix or ClassicFlix. It also had a release on VHS. Southern Californians have the chance to see THE KILLERS when it will be shown again on May 4th at the Burt Lancaster Centennial festival at UCLA, paired with CRISS CROSS. The evening will be hosted by the Film Noir Foundation's Alan Rode.